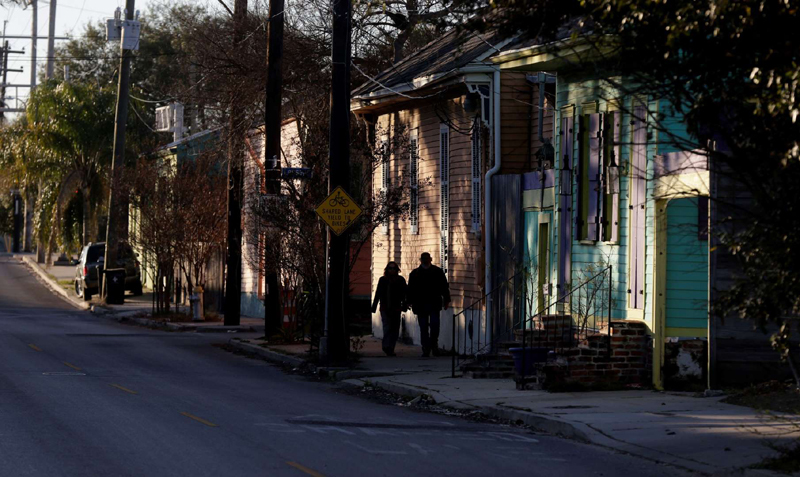 A ban on "whole home" short-term vacation rentals in New Orleans was proposed Thursday by a City Council member, a move long-awaited by critics who say investors were helping drive up housing costs and marring the character of historic neighborhoods by buying up properties and renting them to out-of-towners. Kristen Gisleson Palmer's measure had also been awaited with dread by some property owners who own short-term rental properties. And it drew rebukes from Airbnb and HomeAway, two of the best known online platforms for short-term rentals. Airbnb's emailed statement said the plan would "devastate" some New Orleans property owners who depend on short-term rental revenue. HomeAway spokesman Philip Minardi said the proposal was an "extreme" measure that would penalize property owners who have invested in the community. "This framework would jeopardize those responsible homeowners without cause, decrease tax collections, and prevent tourism dollars from being spread across the city," Minardi said in a news release. Backers of non-owner-occupied short-term rentals also say the practice can help revitalize blighted neighborhoods. A homeowner who wanted to rent out parts of his or her home to vacationers could still do so under the proposal, as long as that owner remains on the premises. But Palmer aims to stop investors from buying up houses in neighborhoods strictly for the purpose of making them into vacation rental spots. 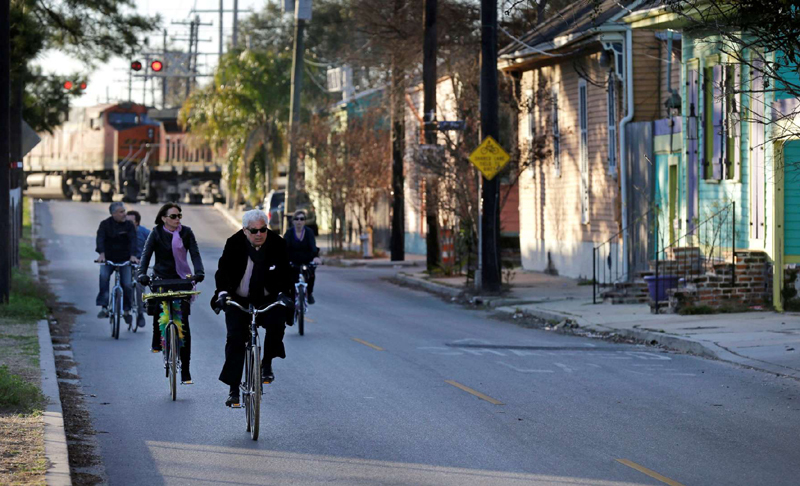 Complaints about short-term renters taking the place of long-term residents have been especially strong in the Marigny and Treme neighborhoods, where critics have said vacationers have sometimes noisily pushed the limits of the city's tolerance for revelry. "If you kill the neighborhoods you kill the reason people come here," Palmer told reporters Thursday. Palmer's proposal also extends an existing ban on short-term rentals in the French Quarter to include the city's Garden District. And it requires that building owners in some commercial areas match their short-term rental units with an equal number of affordable housing units. Opponents of short-term, whole-home rentals won council approval in May of a temporary ban on the issuing of any new licenses for whole-home rentals, a precursor to Thursday's proposal. The council is expected to get its first official look at Palmer's proposal next week. A final vote is expected in April. Cities and states have been grappling with the issue of how best to regulate short-term rentals for years. In November, for instance, news outlets reported that Washington's city council voted to restrict short-term rentals to primary residences, and limit rentals in which the owner is absent to 90 days per year. In South Portland, Maine, the Portland Press Herald reported that a ban on non-owner-occupied short term rentals takes effect Jan. 1. San Diego City Council's October vote to repeal its regulations that, among other things, barred the short-term rentals of second homes. Airbnb's statement says its polling indicates residents support short-term rentals, including those used as full-time Airbnb rentals. The company said Palmer's proposal was "crafted in a backroom without input from key stakeholders." Palmer countered that there were months of meetings and public input that went into the proposal. And there will be more public hearings and study before the proposal comes up for a final vote.